With Concordia University Part-Time Faculty Association’s collective agreement expiring at the end of December, the union hopes their issues with job security will be addressed in the next round of their negotiations. “There hasn’t been any work for me since 2015,” explains Shawn Berry, who’s been teaching Sociology at Concordia since 1993, but wasn’t able to continue after cuts in part-time courses were made to the department of Sociology and Anthropology. For now, he’s teaching a number of Sociology courses at Dawson College. Since 2012, part-time teachers have seen an 20 per cent decrease in the number of courses available to them. As a result, many teachers return to find out that the courses they’ve long taught are no longer available because Concordia has dropped them for part-time faculty. For the 2012-2013 academic year, 144 courses were offered to part-time faculty in the Department of Classics, Modern Languages and Linguistics. But for the 2016-2017 academic year, only 103 courses were offered to part-time faculty in the same department. In the same time frame, courses offered to part-time faculty for education went from 176 to 107, and from 14 to six in the Chemistry and Biochemistry program. In economics, part-time professors had it the worse. No courses were available between 2012 and 2016, and it was only during this academic year that seven courses opened up. “If all the sudden you don’t have six courses a year, you have five, or four, because there are fewer courses, well now your livelihood has been compromised, your salary has been compromised, your quality of life has been compromised,” explained CUPFA President Robert Soroka. “There’s an emotional toll, you feel less appreciated, less part of the community,” he added. Teachers who only specialize in one subject suffer the most from these cuts, and as a result many part-time teachers choose to broaden their expertise so they can teach multiple subjects, Chair of Internal Mobilization, Erik Chevrier said. It’s what they have to do to compete. That or they can choose to move to another campus, or work at more than one campus per semester. One reason part-time teachers’ courses have been going is down is because the university has been bringing in more full-time teachers to work under limited term appointments. The more the school hires LTAs, the less courses go to part-time professors. Teachers contracted under LTAs must reapply to their positions every nine months, and an LTA can only stay in their position for three years. Once a professor’s three years have run out, they have to wait two years to be eligible again. In a past interview with The Link, Dean of Arts and Science André Roy explained that the school tends to increase LTA contracts when there’s a shortage of long-term contracts and tenure contracts. 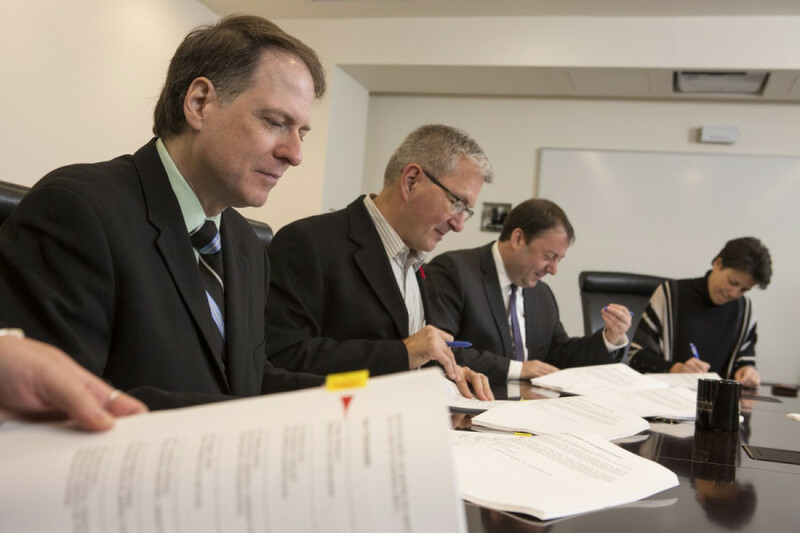 According to the collective agreement of Concordia’s full-time faculty union, the university favours full-time professors over part-time professors since full-time teachers take part in more research. Part-time teachers can take part in research, but aren’t forced to, whereas full-time teachers are. For that reason, the school opts for more professors contracted under LTAs, rather than hiring part-time professors. As they move closer to negotiating for another collective agreement, there’s other issues CUPFA hopes to address. One problem, explained Chevrier, is that part-time teachers are liable each year to losing their jobs. “We’re not guaranteed any labour, and we actually have to reapply for our job twice a year, once for summer courses, and then once for fall and winter courses,” said Chevrier. There’s also not many protocols in place to prevent part-time faculty from getting their courses cut, he said. Part-time teachers are ensured 19.5 per cent of the school’s “reserve courses.” Those are courses set aside for part-time professors, adjuncts, graduate students who teach, and some full-time faculty. But there’s no mechanism that prevents the university from cutting reserve courses when they see fit. Part-time teachers who aren’t able to apply to their old classes may then opt to apply for full-time teaching positions or go to another school, but doing so has the potential to negatively affect their career. Part-time get seniority points with each course they teach. Those who have taught more courses are prioritized for hiring. But if a part-time teacher doesn’t teach for 32 months, they go back to the bottom of the food chain and lose all of their seniority points. “I came very close to that happening to me,” said Berry, who was right on the cusp of losing all his seniority points. But luckily for him, he’ll be able to teach a Sociology course in juvenile crime and delinquency for the winter semester of 2018. “To just lose [part-time professors] arbitrarily because of seniority, I don’t think that’s a good move on the university. 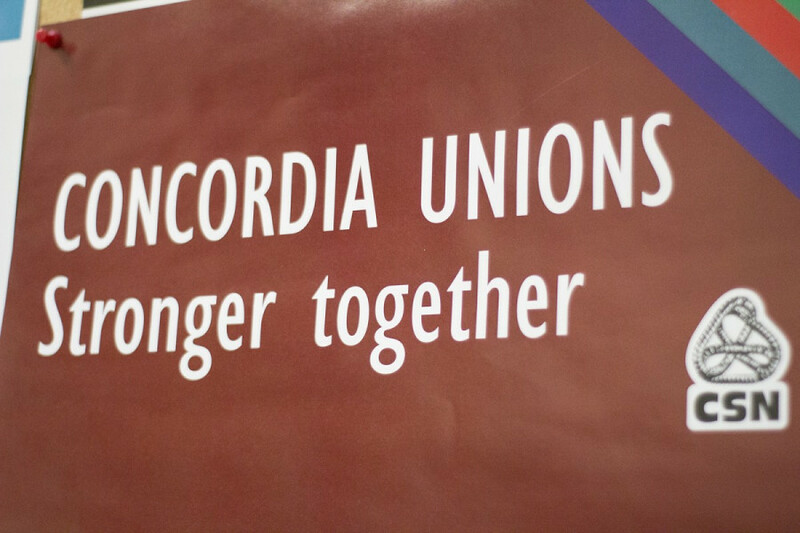 I don’t think it’s wise for Concordia to lose all of that experience,” continued Berry. Moving forward, Vice-President Patrice Blais said CUPFA’s bargaining team will go into the next round with a focus on strengthening their professors’ job security. For now, Blais said it’s hard to say precisely what they’ll be asking for, since it’s still too early in the process. Right now, he said CUPFA will focus on doing surveys with their members, so they can see what their needs are. Then with that information, they’ll meet with the university’s bargaining team sometime in December. Bargaining for their last collective agreement took two years, and bargaining for the collective agreement before that took three years. “It’s always a long process,” Blais said. But despite that, Blais has a idea of what they’ll be pushing for. Beyond job security, Blais hopes that mechanisms can be put in place to offset the financial burden that comes with their member’s new pension plan. In 2017, the Quebec government mandated that both the employer and employee contribute 50 per cent to their pension plan. Before then, part-time teachers only had to contribute 28 per cent. “So of course we’d like to get some kind of compensation for that,” he said. “We could have a raise to offset that.” Blais said these extra pension-fees could also be offset by giving part-time professors more benefits. But right now CUPFA’s members have no seats on Concordia’s benefits committee, and because of that, have less leverage in negotiating for more benefits. Moving forward, Blais hopes to see that change, and hopes CUPFA could also get representation on Concordia’s pension committee.